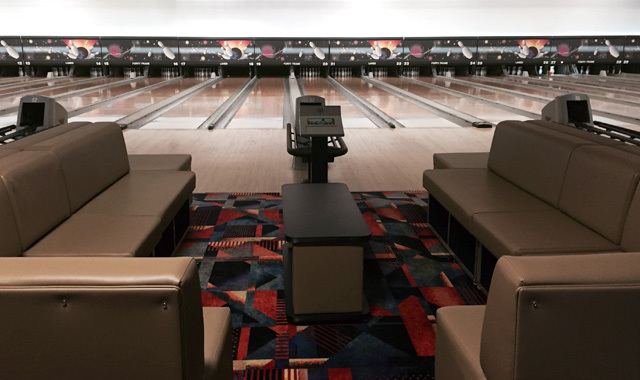 The Forty Frame Game Toledo tournament will run Saturdays and Sundays only January 5 through June 9, 2019 at Bowlero Lanes. Squad times are 10:30 am and 2:00 pm with some special Friday and Saturday night squads offered in late April, May and June. Advanced registration and a $10 deposit is required for participation. For reservations, call our tournament headquarters at (800) 837-4010. This tournament is a singles format and is USBCBA/USBCWBA certified. Men and women entries are welcome. The cost is $67 per bowler. First place wins $6,000 and second place is $3,000. Projected prizes are based on 3,000 entries. The top three finishers and the winner of the Squad Leader Shootout (whoever brings the highest number of bowlers to Toledo) qualify for The Forty Frame Game National Championship Finals held in Las Vegas in November 2019. For tournament rules, information and an entry blank, click on the downloadable forms shown above. Optional Events ~ Woof-Woof Strikes, Big Ten Strikes, Handicap Doubles, Natural Doubles, Big Lucas, Sweep It Clean and Doubles Brackets are available. The fee for all optional events (except Natural Doubles which is $10 per bowler) is $5 per bowler per event. Kegler’s Cash is also offered. For more information, see the Optional Events page on this website. Squad Leaders ~ Bring your friends and get rewarded! The more bowlers you bring, the more rewards you receive. Also, Squad Leaders, at no extra cost, are eligible for our EXCLUSIVE PRIZE LIST & FREE TRIP TO LAS VEGAS. Certain restrictions apply. Call us today at (800) 837-4010 and we’ll send you a Squad Leader packet with everything you need.